Freddie is enjoying his new home - the Prefix car park! 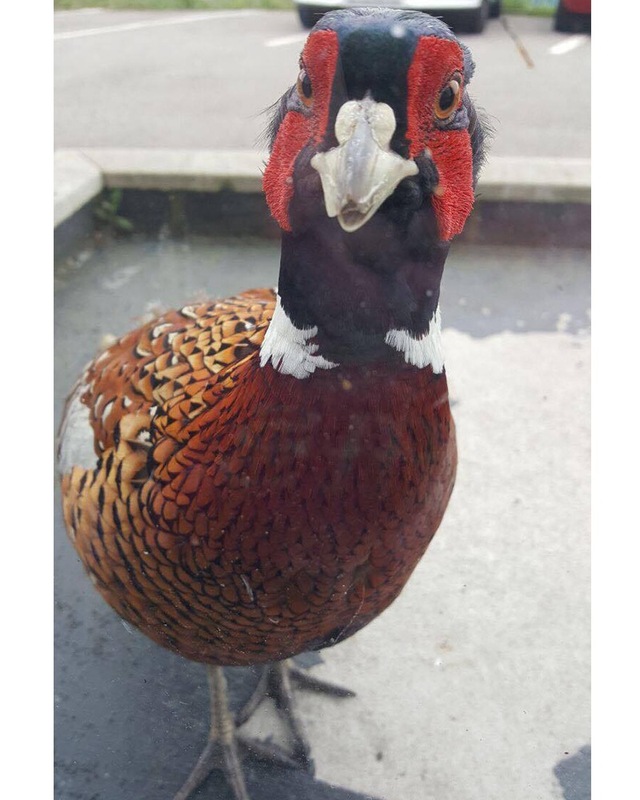 With our head office residing in the (not so) sunny Blackburn just across from the wonderful hills of Lancashire, we have adopted a new Prefix Pet - Freddie the Pheasant! We first spotted him roaming around the car park but as the days went on, he became more & more confident and now pecks at the front door - hoping to come in! Although we hadn't seen him for a few days last week, he was back this morning - probably looking for Sue who he keeps company on Reception!